Building your brand is about increasing its value in the eyes of the consumer. The more valuable your brand is perceived to be, the more customers will be willing to pay for your products and services, the more loyal they will be to your brand, and the less valuable your competitors’ brands will appear by comparison. Unfortunately, many brands are devaluing themselves every single day without even realizing it. And before they even realize what’s going on, the brand has lost all value and regaining it is next to impossible. 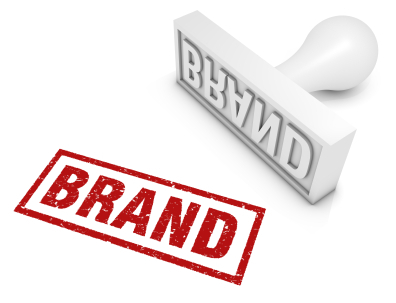 Are you undercutting the value of your brand? You might be doing it if you’re doing any of these 3 things. Letting yourself get behind the times — As soon as you stop pushing forward and looking for ways to improve your products and services, your competitors will pass you by. You can’t just rest on your laurels. Consumers have more options than ever before, and your competitors are always looking for new ways to gain an advantage and snuff you out. You simply must keep innovating if you want your brand to remain relevant and valuable. Being a sell out — Have you ever had a favorite band that suddenly changed their sound and became mega popular? It’s called selling out, and we all hate seeing it happen. Companies do this too. They start chasing the dollars, and in order to try to appeal to more customers, they change who they are, selling out their values. When you betray your brand interest to make more money, you lose the trust of your loyal customers and eventually kill your brand’s value. Offering too many deals — In order to drum up more business, one of the things companies often do is slash their prices with special promotions. You’re starting to see this even more now with daily deal sites, like Groupon and LivingSocial. The problem with offering too many deals is that when customers see you offering your product at a super low price, they begin to believe that the sale price is what it’s really worth, not its full price. What are some other ways companies devalue their own brands? Share your thoughts by commenting below. You are devaluing your brand if you don’t have a strong website. A website is the first place that people look for more information. If the site looks outdated or has poor content or a bad user experience it leads to a negative brand experience even if the product/service offered is great.